In physics and mechanics, mass distribution is the spatial distribution of mass within a solid body. In principle, it is relevant also for gases or liquids, but on earth their mass distribution is almost homogeneous. Juno's name comes from Greek and Roman mythology. The god Jupiter drew a veil of clouds around himself to hide his mischief, and his wife, the goddess Juno, was able to peer through the clouds and reveal Jupiter's true nature. Jupiter, also known as Jove, was the god of the sky and thunder and king of the gods in Ancient Roman religion and mythology. Jupiter was the chief deity of Roman state religion throughout the Republican and Imperial eras, until Christianity became the dominant religion of the Empire. In Roman mythology, he negotiates with Numa Pompilius, the second king of Rome, to establish principles of Roman religion such as offering, or sacrifice. Juno was an ancient Roman goddess, the protector and special counselor of the state. A daughter of Saturn, she is the wife of Jupiter and the mother of Mars, Vulcan, Bellona and Juventas. She is the Roman equivalent of Hera, queen of the gods in Greek mythology; like Hera, her sacred animal was the peacock. Her Etruscan counterpart was Uni, and she was said to also watch over the women of Rome. As the patron goddess of Rome and the Roman Empire, Juno was called Regina ("Queen") and was a member of the Capitoline Triad, centered on the Capitoline Hill in Rome; it consisted of her, Jupiter, and Minerva, goddess of wisdom. The mission had previously been referred to by the backronym Jupiter Near-polar Orbiter. Juno is sometimes called New Frontiers 2 as the second mission in the New Frontiers program,   but is not to be confused with New Horizons 2, a proposed but unselected New Frontiers mission. New Horizons 2 was a proposed mission to the trans-Neptunian objects by NASA. It was conceived as a planetary flyby mission in 2002, based on the New Horizons spacecraft, which was in development at the time. In March 2005, the proposal was not selected for further development because of a shortage of plutonium-238 needed for the radioisotope thermoelectric generator (RTG). The New Horizons 2 study was funded out of the New Frontiers program, and was delivered to the U.S. Congress in June 2005. Juno's interplanetary trajectory; tick marks at 30-day intervals. The Europa Orbiter was a planned NASA mission to Jupiter's Moon Europa, that was cancelled in 2002. Its main objectives included determining the presence or absence of a subsurface ocean and identifying candidate sites for future lander missions. 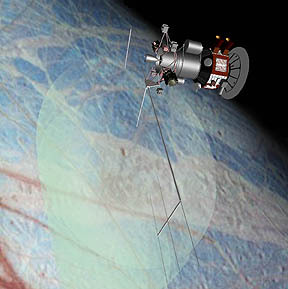 Europa Orbiter received pre-project funding in 1998, and resulted from NASA's Fire and Ice project. The Europa Jupiter System Mission – Laplace (EJSM/Laplace) was a proposed joint NASA/ESA unmanned space mission slated to launch around 2020 for the in-depth exploration of Jupiter's moons with a focus on Europa, Ganymede and Jupiter's magnetosphere. The mission would have comprised at least two independent elements, NASA's Jupiter Europa Orbiter (JEO) and ESA's Jupiter Ganymede Orbiter (JGO), to perform coordinated studies of the Jovian system. Juno was launched atop the Atlas V at Cape Canaveral Air Force Station, Florida. The Atlas V (AV-029) used a Russian-built RD-180 main engine, powered by kerosene and liquid oxygen. At ignition it underwent checkout 3.8 seconds prior to the ignition of five strap-on solid rocket boosters (SRBs). Following the SRB burnout, about 93 seconds into the flight, two of the spent boosters fell away from the vehicle, followed 1.5 seconds later by the remaining three. When heating levels had dropped below predetermined limits, the payload fairing that protected Juno during launch and transit through the thickest part of the atmosphere separated, about 3 minutes 24 seconds into the flight. The Atlas V main engine cut off 4 minutes 26 seconds after liftoff. Sixteen seconds later, the Centaur second stage ignited, and it burned for about 6 minutes, putting the satellite into an initial parking orbit. The vehicle coasted for about 30 minutes, and then the Centaur was reignited for a second firing of 9 minutes, placing the spacecraft on an Earth escape trajectory in a heliocentric orbit. Determine the ratio of oxygen to hydrogen, effectively measuring the abundance of water in Jupiter, which will help distinguish among prevailing theories linking Jupiter's formation to the Solar System. Obtain a better estimate of Jupiter's core mass, which will also help distinguish among prevailing theories linking Jupiter's formation to the Solar System. Precisely map Jupiter's gravitational field to assess the distribution of mass in Jupiter's interior, including properties of its structure and dynamics. Precisely map Jupiter's magnetic field to assess the origin and structure of the field and how deep in Jupiter the magnetic field is created. This experiment will also help scientists understand the fundamental physics of dynamo theory. Map the variation in atmospheric composition, temperature, structure, cloud opacity and dynamics to pressures far greater than 100 bars (10 MPa ; 1,450 psi ) at all latitudes. Magnetometer MAG The magnetic field investigation has three goals: mapping of the magnetic field, determining the dynamics of Jupiter's interior, and determination of the three-dimensional structure of the polar magnetosphere. The magnetometer experiment consists of the Flux Gate Magnetometer (FGM), which will measure the strength and direction of the magnetic field lines, and the Advanced Stellar Compass (ASC), which will monitor the orientation of the magnetometer sensors. Radio and Plasma Wave Sensor Waves This instrument will identify the regions of auroral currents that define Jovian radio emissions and acceleration of the auroral particles by measuring the radio and plasma spectra in the auroral region. Ultraviolet imaging spectrometer UVS UVS will record the wavelength, position and arrival time of detected ultraviolet photons during the time when the spectrograph slit views Jupiter during each turn of the spacecraft. Using a 1024 × 256 micro channel plate detector, it will provide spectral images of the UV auroral emissions in the polar magnetosphere. Juno is the first mission to Jupiter to use solar panels instead of the radioisotope thermoelectric generators (RTG) used by Pioneer 10 , Pioneer 11 , the Voyager program, Ulysses , Cassini–Huygens , New Horizons , and the Galileo orbiter. It is also the farthest solar-powered trip in the history of space exploration. Once in orbit around Jupiter, Juno receives only 4% as much sunlight as it would on Earth, but the global shortage of plutonium-238,     as well as advances made in solar cell technology over the past several decades, makes it economically preferable to use solar panels of practical size to provide power at a distance of 5 AU from the Sun. Juno uses in-band signaling ("tones") for several critical operations as well as status reporting during cruise mode,  but it is expected to be used infrequently. Communications are via the 34-meter (112 ft) and 70-meter (230 ft) antennas of the NASA Deep Space Network (DSN) utilizing an X band direct link. The command and data processing of the Juno spacecraft includes a flight computer capable of providing about 50 Mbit/s of instrument throughput. Gravity science subsystems use the X-band and Ka-band Doppler tracking and autoranging. Due to telecommunications constraints, Juno will only be able to return about 40 megabytes of JunoCam data during each 11-day orbital period, limiting the number of images that are captured and transmitted during each orbit to somewhere between 10 and 100 depending on the compression level used. [ needs update ] The overall amount of data downlinked on each orbit is significantly higher and used for the mission's scientific instruments; JunoCam is intended for public outreach and is thus secondary to the science data. This is comparable to the previous Galileo mission that orbited Jupiter, which captured thousands of images  despite its slow data rate of 1000 bit/s (at maximum compression level) due to the failure of its high-gain antenna. The communication system is also used as part of the Gravity Science experiment. On the 11th it was in this formation - and the star closest to Jupiter was half the size than the other and very close to the other so that during the previous nights all of the three observed stars looked of the same dimension and among them equally afar; so that it is evident that around Jupiter there are three moving stars invisible till this time to everyone. Pioneer 10 is an American space probe, launched in 1972 and weighing 258 kilograms, that completed the first mission to the planet Jupiter. Thereafter, Pioneer 10 became the first of five artificial objects to achieve the escape velocity that will allow them to leave the Solar System. This space exploration project was conducted by the NASA Ames Research Center in California, and the space probe was manufactured by TRW Inc. In orbital mechanics and aerospace engineering, a gravitational slingshot, gravity assist maneuver, or swing-by is the use of the relative movement and gravity of a planet or other astronomical object to alter the path and speed of a spacecraft, typically to save propellant and reduce expense. Uncrewed or unmanned spacecraft are spacecraft without people on board, used for robotic spaceflight. Uncrewed spacecraft may have varying levels of autonomy from human input; they may be remote controlled, remote guided or even autonomous, meaning they have a pre-programmed list of operations, which they will execute unless otherwise instructed. Many habitable spacecraft also have varying levels of robotic features. For example, the space stations Salyut 7 and Mir, and the ISS module Zarya were capable of remote guided station-keeping, and docking maneuvers with both resupply craft and new modules. The most common uncrewed spacecraft categories are robotic spacecraft, uncrewed resupply spacecraft, space probes and space observatories. Not every uncrewed spacecraft is a robotic spacecraft; for example, a reflector ball is a non-robotic uncrewed spacecraft. JunoCam is the visible-light camera/telescope of the Juno Jupiter orbiter, a NASA space probe launched to the planet Jupiter on 5 August 2011. It was built by Malin Space Science Systems. The telescope/camera has a field of view of 58 degrees with four filters. The camera is run by the JunoCam Digital Electronics Assembly (JDEA) also made by MSSS. It takes a swath of imaging as the spacecraft rotates; the camera is fixed to the spacecraft so as it rotates, it gets one sweep of observation. Laplace-P is a proposed orbiter and lander by the Russian Federal Space Agency designed to study the Jovian moon system and explore Ganymede with a lander. The JUpiter ICy moons Explorer (JUICE) is an interplanetary spacecraft in development by the European Space Agency (ESA) with Airbus Defence and Space as the main contractor. The mission is being developed to visit the Jovian system and is focused on studying three of Jupiter's Galilean moons: Ganymede, Callisto, and Europa all of which are thought to have significant bodies of liquid water beneath their surfaces, making them potentially habitable environments. The spacecraft is set for launch in June 2022 and would reach Jupiter in October 2029 after five gravity assists and 88 months of travel. By 2033 the spacecraft should enter orbit around Ganymede for its close up science mission and becoming the first spacecraft to orbit a moon other than the moon of Earth. The selection of this mission for the L1 launch slot of ESA's Cosmic Vision science programme was announced on 2 May 2012. Its period of operations will overlap with NASA's Europa Clipper mission, also launching in 2022. Jovian Infrared Auroral Mapper (JIRAM) is an instrument on the Juno spacecraft in orbit of the planet Jupiter. It is an image spectrometer and was contributed by Italy. Similar instruments are on ESA Rosetta, Venus Express, and Cassini-Huygens missions. The primary goal of JIRAM is to probe the upper layers of Jupiter's atmosphere down to pressures of 5–7 bars at infrared wavelengths in the 2–5 μm interval using an imager and a spectrometer. The Jupiter's atmosphere and auroral regions are targeted for study. In particular it has been designed to study the dynamics and chemistry in the atmosphere, perhaps determining the how Jovian hot spots form. JEDI, is an instrument on the Juno spacecraft orbiting planet Jupiter. JEDI coordinates with the several other space physics instruments on the Juno spacecraft to characterize and understand the space environment of Jupiter's polar regions, and specifically to understand the generation of Jupiter's powerful aurora. It is part of a suite of instruments to study the magnetosphere of Jupiter. JEDI consists of three identical detectors that use microchannel plates and foil layers to detect the energy, angle, and types of ion within a certain range. It can detect electrons between 40 and 500 keV, and hydrogen and oxygen from a few tens of keV to less than 1000 keV. JEDI uses radiation hardened Application Specific Integrated Circuits (ASIC)s. JEDI was turned on in January 2016 while still en route to Jupiter to also study interplanetary space. JEDI uses solid state detectors (SSD's) to measure the total energy (E) of both the ions and the electrons. The MCP anodes and the SSD arrays are configured to determine the directions of arrivals of the incoming charged particles. The instruments also use fast triple coincidence and optimum shielding to suppress penetrating background radiation and incoming UV foreground. UVS, known as the Ultraviolet Spectrograph or Ultraviolet Imaging Spectrometer is the name of an instrument on the Juno orbiter for Jupiter. The instrument is an imaging spectrometer that observes the ultraviolet range of light wavelengths, which is shorter wavelengths than visible light but longer than X-rays. Specifically, it is focused on making remote observations of the aurora, detecting the emissions of gases such as hydrogen in the far-ultraviolet. UVS will observes light from as short a wavelength as 70 nm up to 200 nm, which is in the extreme and far ultraviolet range of light. The source of aurora emissions of Jupiter is one of the goals of the instrument. UVS is one of many instruments on Juno, but it is in particular designed to operate in conjunction with JADE, which observes high-energy particles. With both instruments operating together, both the UV emissions and high-energy particles at the same place and time can be synthesized. This supports the Goal of determining the source of the Jovian magnetic field. There has been a problem understanding the Jovian aurora, ever since Chandra determined X-rays were coming not from, as it was thought Io's orbit but from the polar regions. Every 45 minutes an X-ray hot-spot pulsates, corroborated by a similar previous detection in radio emissions by Galileo and Cassini spacecraft. One theory is that its related to the solar wind. The mystery is not that there are X-rays coming Jupiter, which has been known for decades, as detected by previous X-ray observatories, but rather why with the Chandra observation, that pulse was coming from the north polar region. Microwave Radiometer (MWR) is an instrument on the Juno orbiter sent to planet Jupiter. MWR is a multi-wavelength microwave radiometer for making observations of Jupiter's deep atmosphere. MWR can observe radiation from 1.37 to 50 cm in wavelength, from 600 MHz to 22 GHz in frequencies. This supports its goal of observing the previously unseen atmospheric features and chemical abundances hundreds of miles/km into Jupiter's atmosphere. MWR is designed to detect six different frequencies in that range using separate antennas. Waves is an experiment on the Juno spacecraft to study radio and plasma waves. It is part of collection of various types of instruments and experiments on the spacecraft; Waves is oriented towards understanding fields and particles in Jupiter's magnetosphere. Waves is on board the unmanned Juno spacecraft, which was launched in 2011 and arrived at Jupiter in the summer of 2016. The major focus of study for Waves is Jupiter's magnetosphere, which if could be seen from Earth would be about twice the size of a full moon. It has a tear drop shape, and that tail extends away from the Sun by at least 5 AU. The Waves instrument is designed to help understand the interaction between Jupiter's atmosphere, its magnetic field, its magnetosphere, and to understand Jupiter's auroras. It is designed to detect radio frequencies from 50 Hz up to 40,000,000 Hz (40 MHz), and magnetic fields from 50 Hz to 20,000 Hz (20 kHz). It has two main sensors a dipole antenna and a magnetic search coil. The dipole antenna has two whip antenna's that extend 2.8 meters and they are attached to the main body of the spacecraft. This sensor has been compared to a rabbit ears set-top TV antenna. The search coil is overall a mu metal rod 15 cm (6 in) length with a fine copper wire wound 10,000 times around it. There are also two frequency receivers that each cover certain bands. Data handling is done by two radiation hardened systems on a chip. The data handling units are located inside the Juno Radiation Vault. Waves was allocated 410 Mbits of data per science orbit. Europa Lander is a proposed astrobiology mission concept by NASA to Europa, a moon of Jupiter. If selected and developed, it would be launched separately in 2025 to complement the studies by the Europa Clipper orbiter mission. 1 2 "Juno Mission to Jupiter" (PDF). NASA FACTS. NASA. April 2009. p. 1. Retrieved April 5, 2011. 1 2 3 4 "Jupiter Orbit Insertion Press Kit" (PDF). NASA. 2016. Retrieved July 7, 2016. 1 2 Foust, Jeff (July 5, 2016). "Juno enters orbit around Jupiter". Space News. Retrieved August 25, 2016. 1 2 3 4 5 Chang, Kenneth (July 5, 2016). "NASA's Juno Spacecraft Enters Jupiter's Orbit". The New York Times . Retrieved July 5, 2016. 1 2 3 4 Greicius, Tony (September 21, 2015). "Juno – Mission Overview". NASA . Retrieved October 2, 2015. ↑ Dunn, Marcia (August 5, 2011). "NASA probe blasts off for Jupiter after launch-pad snags". MSN. Retrieved August 31, 2011. 1 2 Chang, Kenneth (June 28, 2016). "NASA's Juno Spacecraft Will Soon Be in Jupiter's Grip". The New York Times . Retrieved June 30, 2016. 1 2 3 4 5 Riskin, Dan (July 4, 2016). Mission Jupiter (Television documentary). Science Channel. ↑ Cheng, Andrew; Buckley, Mike; Steigerwald, Bill (May 21, 2008). "Winds in Jupiter's Little Red Spot Almost Twice as Fast as Strongest Hurricane". NASA. Retrieved August 9, 2017. ↑ "Juno's Solar Cells Ready to Light Up Jupiter Mission". NASA. July 15, 2011. Retrieved October 4, 2015. ↑ "NASA's Juno Spacecraft Launches to Jupiter". NASA. August 5, 2011. Retrieved August 5, 2011. ↑ "Mission Acronyms & Definitions" (PDF). NASA. Retrieved April 30, 2016. ↑ Leone, Dan (February 23, 2015). "NASA Sets Next $1 Billion New Frontiers Competition for 2016". SpaceNews . Retrieved January 2, 2017. ↑ Hillger, Don; Toth, Garry (September 20, 2016). "New Frontiers-series satellites". Colorado State University. Retrieved January 2, 2017. ↑ "Juno Mission to Jupiter". Astrobiology Magazine. June 9, 2005. Retrieved December 7, 2016. 1 2 Ludwinski, Jan M.; Guman, Mark D.; Johannesen, Jennie R.; Mitchell, Robert T.; Staehle, Robert L. (1998). The Europa Orbiter Mission Design. 49th International Astronautical Congress. September 28 – October 2, 1998. Melbourne, Australia. hdl:2014/20516. 1 2 Zeller, Martin (January 2001). "NASA Announces New Discovery Program Awards". NASA /University of Southern California. Archived from the original on March 5, 2017. Retrieved December 25, 2016. ↑ Dougherty, M. K.; Grasset, O.; Bunce, E.; Coustenis, A.; Titov, D. V.; et al. (2011). JUICE (JUpiter ICy moon Explorer): a European-led mission to the Jupiter system (PDF). EPSC-DPS Joint Meeting 2011. October 2–7, 2011. Nantes, France. Bibcode:2011epsc.conf.1343D. ↑ Dunn, Marcia (August 1, 2011). 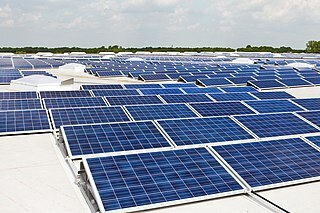 "NASA going green with solar-powered Jupiter probe". USA Today. 1 2 3 4 Brown, Dwayne; Cantillo, Laurie; Agle, D. C. (February 17, 2017). "NASA's Juno Mission to Remain in Current Orbit at Jupiter" (Press release). NASA. Retrieved March 13, 2017. 1 2 "Atlas/Juno launch timeline". Spaceflight Now. July 28, 2011. ↑ "Juno's Solar Cells Ready to Light Up Jupiter Mission". NASA. June 27, 2016. Retrieved July 5, 2016. 1 2 Whigham, Nick (7 July 2016). "The success of Juno's Jupiter mission has its origins in a famous idea from more than 50 years ago". News.com.au. Retrieved January 5, 2019. ↑ Wall, Mike (October 9, 2013). "NASA Spacecraft Slingshots By Earth On Way to Jupiter, Snaps Photos". Space.com. Retrieved January 5, 2019. ↑ Agle, D. C. (August 12, 2013). "NASA's Juno is Halfway to Jupiter". NASA/JPL. Retrieved August 12, 2013. ↑ Greicius, Tony, ed. (March 25, 2014). "Earth Triptych from NASA's Juno Spacecraft". NASA. 1 2 3 "Earth Flyby - Mission Juno". Mission Juno. Retrieved October 2, 2015. ↑ "NASA's Juno Gives Starship-Like View of Earth Flyby" . Retrieved October 2, 2015. ↑ Greicius, Tony. "Juno Earth Flyby". NASA. Retrieved October 8, 2015. ↑ Greicius, Tony (February 13, 2015). "NASA's Juno Gives Starship-Like View of Earth Flyby" . Retrieved July 5, 2016. ↑ Chang, Kenneth (July 5, 2016). "NASA's Juno Spacecraft Enters Jupiter's Orbit". The New York Times . Retrieved July 5, 2016. ↑ "NASA's Juno Spacecraft in Orbit Around Mighty Jupiter". NASA. July 4, 2016. Retrieved July 5, 2016. ↑ Clark, Stephen (July 4, 2016). "Live coverage: NASA's Juno spacecraft arrives at Jupiter". Spaceflight Now. Retrieved July 5, 2016. ↑ Gebhardt, Chris (September 3, 2016). "Juno provides new data on Jupiter; readies for primary science mission". NASA Spaceflight. Retrieved October 23, 2016. ↑ Clark, Stephen (February 21, 2017). "NASA's Juno spacecraft to remain in current orbit around Jupiter". Spaceflight Now. Retrieved April 26, 2017. ↑ Moomaw, Bruce (March 11, 2007). "Juno Gets A Little Bigger With One More Payload For Jovian Delivery". Space Daily. Retrieved August 31, 2011. ↑ "Juno Armored Up to Go to Jupiter". NASA. July 12, 2010. Retrieved July 11, 2016. ↑ "Understanding Juno's Orbit: An Interview with NASA's Scott Bolton". Universe Today. Retrieved February 6, 2016. ↑ Webster, Guy (December 17, 2002). "Galileo Millennium Mission Status". NASA /Jet Propulsion Laboratory. Retrieved February 22, 2017. ↑ Agle, D. C.; Brown, Dwayne; Cantillo, Laurie (October 15, 2016). "Mission Prepares for Next Jupiter Pass". NASA. Retrieved October 19, 2016. ↑ Grush, Loren (October 19, 2016). "NASA's Juno spacecraft went into safe mode last night". The Verge . Retrieved October 23, 2016. ↑ "NASA Juno Mission Completes Latest Jupiter Flyby". NASA /Jet Propulsion Laboratory. December 9, 2016. Retrieved February 4, 2017. 1 2 3 Agle, D. C.; Brown, Dwayne; Cantillo, Laurie (March 27, 2017). "NASA's Juno Spacecraft Completes Fifth Jupiter Flyby". NASA. Retrieved March 31, 2017. 1 2 Anderson, Natali (May 20, 2017). "NASA's Juno Spacecraft Completes Sixth Jupiter Flyby". Sci-News. Retrieved June 4, 2017. ↑ Agle, D. C.; Wendel, JoAnna; Schmid, Deb (June 6, 2018). "NASA Re-plans Juno's Jupiter Mission". NASA/JPL. Retrieved January 5, 2019. 1 2 Dickinson, David (February 21, 2017). "Juno Will Stay in Current Orbit Around Jupiter". Sky & Telescope. Retrieved January 7, 2018. 1 2 Bartels, Meghan (July 5, 2016). "To protect potential alien life, NASA will destroy its $1 billion Jupiter spacecraft on purpose". Business Insider. Retrieved January 7, 2018. 1 2 3 "Mission Name: Juno". NASA's Planetary Data System. April 20, 2017. Retrieved January 5, 2019. ↑ "NASA Juno Spacecraft to remain in Elongated Capture Orbit around Jupiter". Spaceflight101.com. February 18, 2017. Retrieved January 7, 2018. ↑ "Juno Institutional Partners". NASA. 2008. Archived from the original on November 15, 2009. Retrieved August 8, 2009. ↑ "NASA Sets Launch Coverage Events For Mission To Jupiter". NASA Press Release. July 27, 2011. ↑ Cureton, Emily Jo (June 9, 2011). "Scientist with area ties to study Jupiter up close and personal". Big Bend Now. Retrieved July 17, 2011. ↑ "Jupiter Awaits Arrival of Juno" . Retrieved June 28, 2016. 1 2 "Juno Science Objectives". University of Wisconsin–Madison. Archived from the original on September 19, 2015. Retrieved October 13, 2008. ↑ Iorio, L. (August 2010). "Juno, the angular momentum of Jupiter and the Lense–Thirring effect". New Astronomy . 15 (6): 554–560. arXiv: 0812.1485 . Bibcode:2010NewA...15..554I. doi:10.1016/j.newast.2010.01.004. ↑ Helled, R.; Anderson, J.D. ; Schubert, G.; Stevenson, D.J. (December 2011). "Jupiter's moment of inertia: A possible determination by Juno". Icarus . 216 (2): 440–448. arXiv: 1109.1627 . Bibcode:2011Icar..216..440H. doi:10.1016/j.icarus.2011.09.016. ↑ Iorio, L. (2013). "A possible new test of general relativity with Juno". Classical and Quantum Gravity. 30 (18): 195011. arXiv: 1302.6920 . Bibcode:2013CQGra..30s5011I. doi:10.1088/0264-9381/30/19/195011. ↑ Connerney, John; et al. (June 2018). 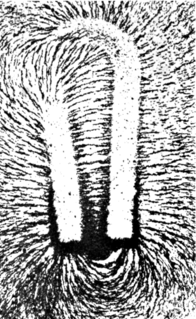 "Prevalent lightning sferics at 600 megahertz near Jupiter's poles". Nature . 558 (7708): 87–90. doi:10.1038/s41586-018-0156-5. ↑ "Instrument overview". Wisconsin University-Madison. Archived from the original on October 16, 2008. Retrieved October 13, 2008. 1 2 3 4 Dodge, R.; Boyles, M. A.; Rasbach, C. E. (September 2007). "Key and driving requirements for the Juno payload suite of instruments" (PDF). NASA. GS, p. 8; JADE and JEDI, p. 9. Archived from the original (PDF) on July 21, 2011. Retrieved December 5, 2010. ↑ "Juno Spacecraft: Instruments". Southwest Research Institute. Archived from the original on April 26, 2012. Retrieved December 20, 2011. ↑ "Juno launch: press kit August 2011" (PDF). NASA. pp. 16–20. Retrieved December 20, 2011. ↑ "More and Juno Ka-band transponder design, performance, qualification and in-flight validation" (PDF). Laboratorio di Radio Scienza del Dipartimento di Ingegneria Meccanica e Aerospaziale, università "Sapienza". 2013. ↑ Owen, T.; Limaye, S. (October 23, 2008). "Instruments : microwave radiometer". University of Wisconsin. Archived from the original on March 28, 2014. ↑ "Juno spacecraft MWR". University of Wisconsin. Retrieved October 19, 2015. 1 2 3 "After Five Years in Space, a Moment of Truth". Mission Juno. Southwest Research Institute. Retrieved October 18, 2016. ↑ "About JIRAM". IAPS (Institute for Space Astrophysics and Planetology of the Italian INAF). Retrieved June 27, 2016. ↑ Owen, T.; Limaye, S. (October 23, 2008). "Instruments : the Jupiter Infrared Aural Mapper". University of Wisconsin. Archived from the original on March 3, 2016. ↑ "Juno spacecraft JIRAM". University of Wisconsin. Retrieved October 19, 2015. ↑ Anderson, John; Mittskus, Anthony (October 23, 2008). "Instruments : Gravity Science Experiment". University of Wisconsin. Archived from the original on February 4, 2016. ↑ "Juno spacecraft GS". University of Wisconsin. Retrieved December 31, 2015. ↑ "Juno spacecraft JADE". University of Wisconsin. Retrieved December 31, 2015. ↑ "Juno spacecraft JEDI". University of Wisconsin. Retrieved October 19, 2015. ↑ Agle, D. C.; Brown, Dwayne; Wendel, JoAnna; Schmid, Deb (December 12, 2018). "NASA's Juno Mission Halfway to Jupiter Science". NASA/JPL. Retrieved January 5, 2019. 1 2 Boyle, Alan (December 26, 2018). "Ho, ho, Juno! NASA orbiter delivers lots of holiday goodies from Jupiter's north pole". Geekwire. Retrieved February 7, 2019. ↑ "NASA's Juno Mission to Jupiter to Be Farthest Solar-Powered Trip" . Retrieved October 2, 2015. ↑ David Dickinson (March 21, 2013). "US to restart plutonium production for deep space exploration". Universe Today. Retrieved February 15, 2015. ↑ Greenfieldboyce, Nell. "Plutonium Shortage Could Stall Space Exploration". NPR. Retrieved December 10, 2013. ↑ Greenfieldboyce, Nell. "The Plutonium Problem: Who Pays For Space Fuel?". NPR. Retrieved December 10, 2013. ↑ Wall, Mike. "Plutonium Production May Avert Spacecraft Fuel Shortage" . Retrieved December 10, 2013. 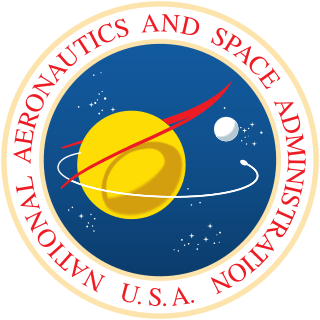 ↑ Administrator, NASA (June 24, 2016). "Juno Solar Panels Complete Testing" . Retrieved July 5, 2016. ↑ "Juno's Solar Cells Ready to Light Up Jupiter Mission" . Retrieved June 19, 2014. ↑ "Juno prepares for mission to Jupiter". Machine Design. Archived from the original on October 31, 2010. Retrieved November 2, 2010. 1 2 3 "Juno Spacecraft Information – Power Distribution". Spaceflight 101. 2011. Retrieved August 6, 2011. ↑ "Key Terms". Mission Juno. Southwest Research Institute. Section TONES. Archived from the original on May 5, 2016. ↑ "Junocam will get us great global shots down onto Jupiter's poles". ↑ Amos, Jonathan (September 4, 2012). "Juno Jupiter probe gets British boost". BBC News. Retrieved September 4, 2012. 1 2 "Juno Jupiter Mission to Carry Plaque Dedicated to Galileo". NASA. August 3, 2011. Retrieved August 5, 2011. ↑ "Juno Spacecraft to Carry Three Lego minifigures to Jupiter Orbit". NASA. August 3, 2011. Retrieved August 5, 2011. ↑ "Juno Spacecraft to Carry Three Figurines to Jupiter Orbit". NASA. August 3, 2011. Retrieved December 25, 2016. ↑ Pachal, Peter (August 5, 2011). "Jupiter Probe Successfully Launches With Lego On Board". PC Magazine. ↑ Agle, D. C.; Martinez, Maria (September 17, 2012). "Juno's Two Deep Space Maneuvers are 'Back-To-Back Home Runs'". NASA/JPL. Retrieved October 12, 2015. ↑ "Juno Earth Flyby - Oct. 9, 2013". NASA. Retrieved July 4, 2016. ↑ Agle, D. C.; Brown, Dwayne; Cantillo, Laurie (August 27, 2016). "NASA's Juno Successfully Completes Jupiter Flyby". NASA. Retrieved October 1, 2016. ↑ "Mission Prepares for Next Jupiter Pass". Mission Juno. Southwest Research Institute. October 14, 2016. Retrieved October 15, 2016. ↑ Agle, D. C.; Brown, Dwayne; Cantillo, Laurie (December 12, 2016). "NASA Juno Mission Completes Latest Jupiter Flyby". NASA /Jet Propulsion Laboratory. Retrieved December 12, 2016. 1 2 Thompson, Amy (December 10, 2016). "NASA's Juno Spacecraft Preps for Third Science Orbit". Inverse. Retrieved December 12, 2016. ↑ "It's Never 'Groundhog Day' at Jupiter". NASA /Jet Propulsion Laboratory. February 1, 2017. Retrieved February 4, 2017. ↑ Witze, Alexandra (May 25, 2017). "Jupiter's secrets revealed by NASA probe". Nature . doi:10.1038/nature.2017.22027 . Retrieved June 14, 2017. ↑ Lakdawalla, Emily (November 3, 2016). "Juno update: 53.5-day orbits for the foreseeable future, more Marble Movie". The Planetary Society. Retrieved June 14, 2017. ↑ "Photos from Juno's Seventh Science Flyby of Jupiter". Spaceflight101.com. September 8, 2017. Retrieved February 12, 2018. ↑ Mosher, Dave (November 7, 2017). "NASA's $1 billion Jupiter probe just sent back stunning new photos of the gas giant". Business Insider. Retrieved March 4, 2018. ↑ "Juno's Perijove-10 Jupiter Flyby, Reconstructed in 125-Fold Time-Lapse". NASA / JPL / SwRI / MSSS / SPICE / Gerald Eichstädt. December 25, 2017. Retrieved February 12, 2018. ↑ "Overview of Juno's Perijove 10". The Planetary Society. December 16, 2017. Retrieved February 12, 2018. ↑ Lakdawalla, Emily (November 3, 2016). "Juno update: 53.5-day orbits for the foreseeable future, more Marble Movie". Planetary Society . Retrieved December 25, 2018. ↑ Wall, Mike (June 8, 2018). "NASA Extends Juno Jupiter Mission Until July 2021". Space.com. Retrieved June 23, 2018. ↑ "Juno mission captures images of volcanic plumes on Jupiter's moon Io". Southwest Research Institute. December 31, 2018. Retrieved January 2, 2019. Wikimedia Commons has media related to Juno . Payloads are separated by bullets ( ·), launches by pipes ( | ). Manned flights are indicated in bold text. Uncatalogued launch failures are listed in italics. Payloads deployed from other spacecraft are denoted in (brackets).